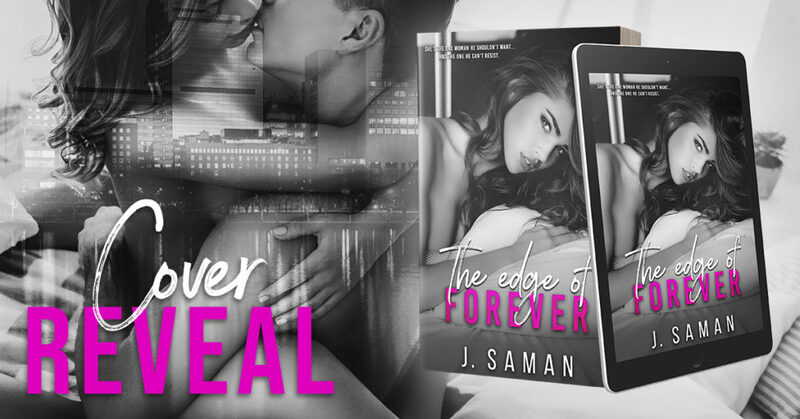 The Edge of Forever by J. Saman! 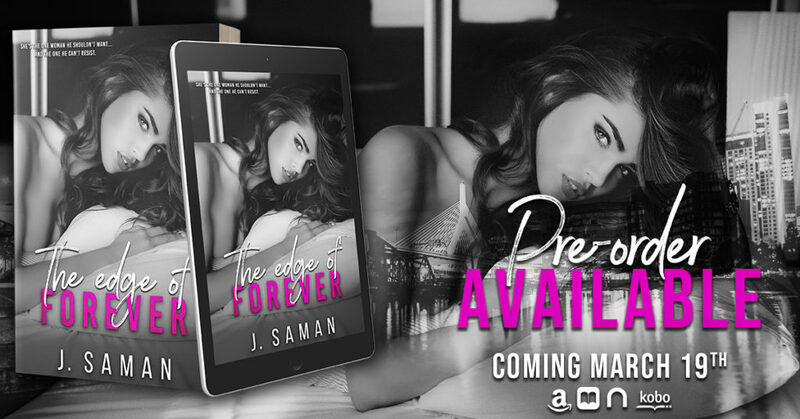 sure to pre-order your copy today! Twisting back in the other direction, I start, my arms dropping to my chest as a small frightened gasp escapes my lips. Someone is standing in the doorway, leaning against the metal frame watching me. Our eyes lock. My breath catches in my chest. Because there is no possible way I’m seeing who I think I’m seeing.My eyes blink. Focus. Then blink again.No. Just no.My lungs burn from lack of oxygen. My cheeks heat and my stomach flutters with nervous butterflies as I squint, trying to confirm what my body seems to already know. What my body remembers. Previous Previous post: SCORE: Boston Terriers Book 6 by Jacob Chance is LIVE!